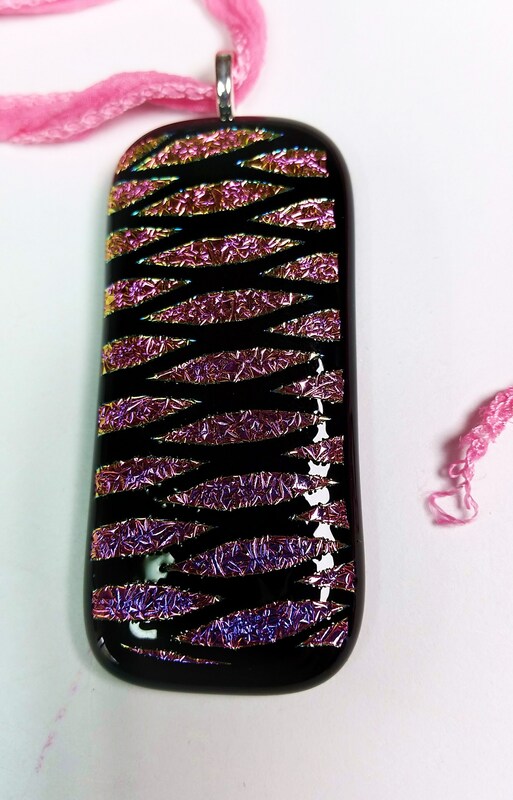 Dynamic dichroic glass!!! 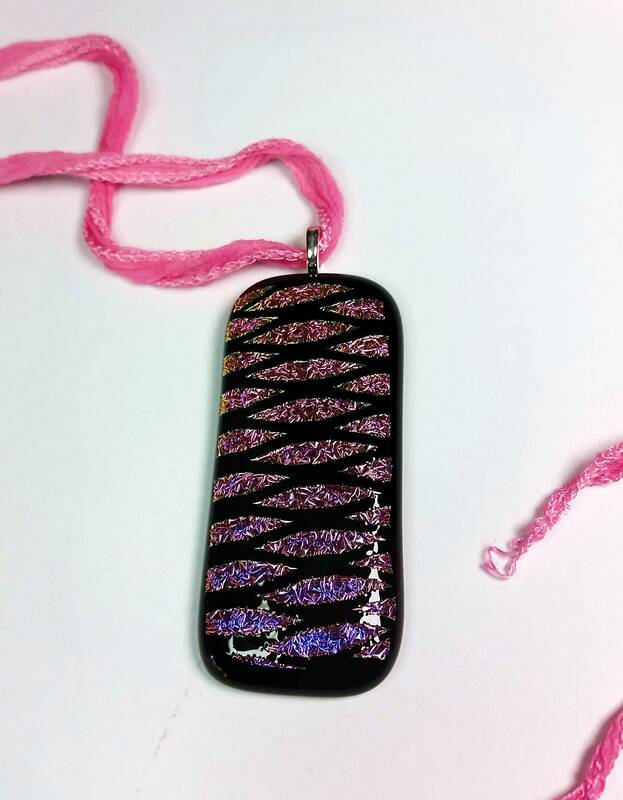 This pendant has black glass is layered with reflective metallic pinks and purples with a geometric crosshatch pattern. 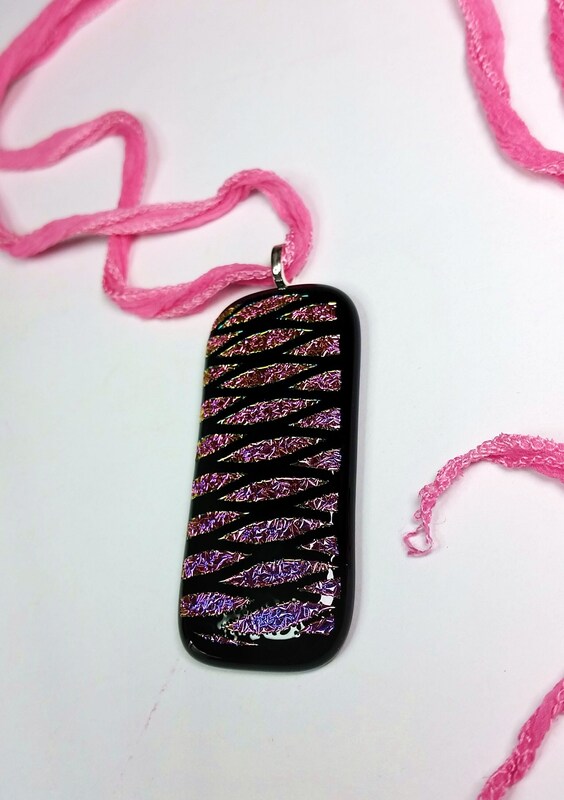 Reflective layered glass is often called dichroic. 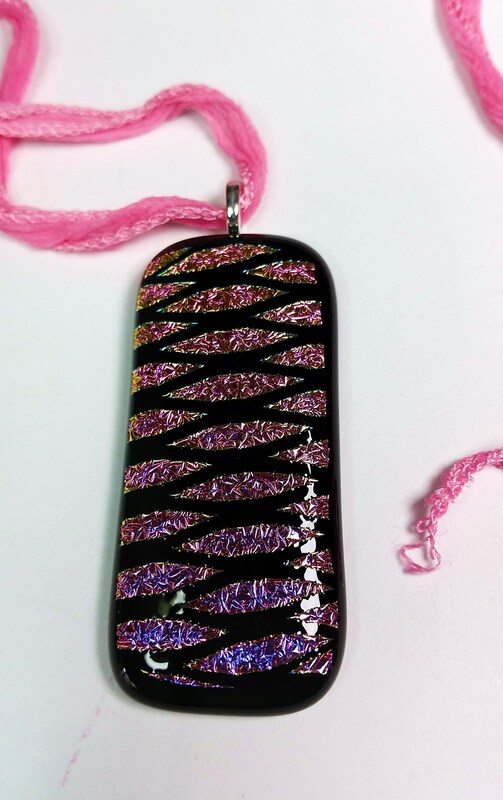 As the lighting changes and the pendant moves it catches the light and reflects varying amounts of pinks, purple and yellow! 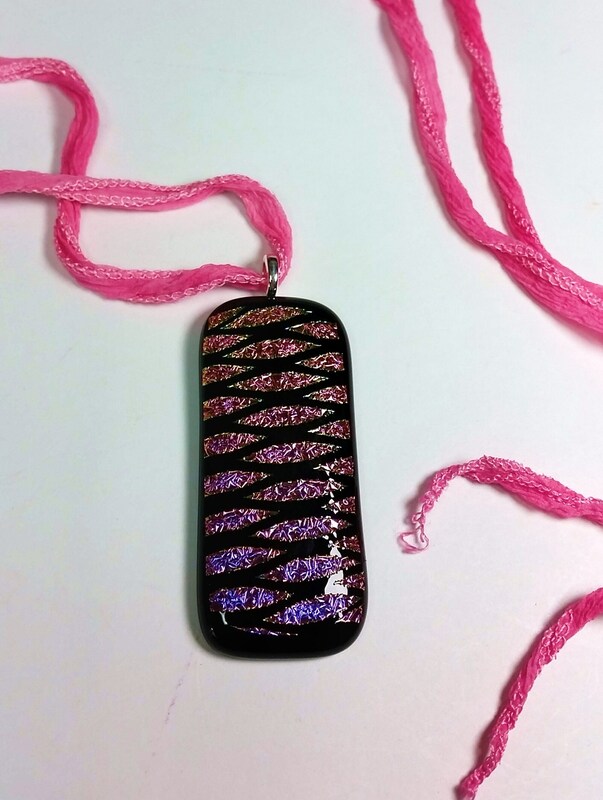 I glued on a silvery bail in order to string on the bright pink silk fairy ribbon. 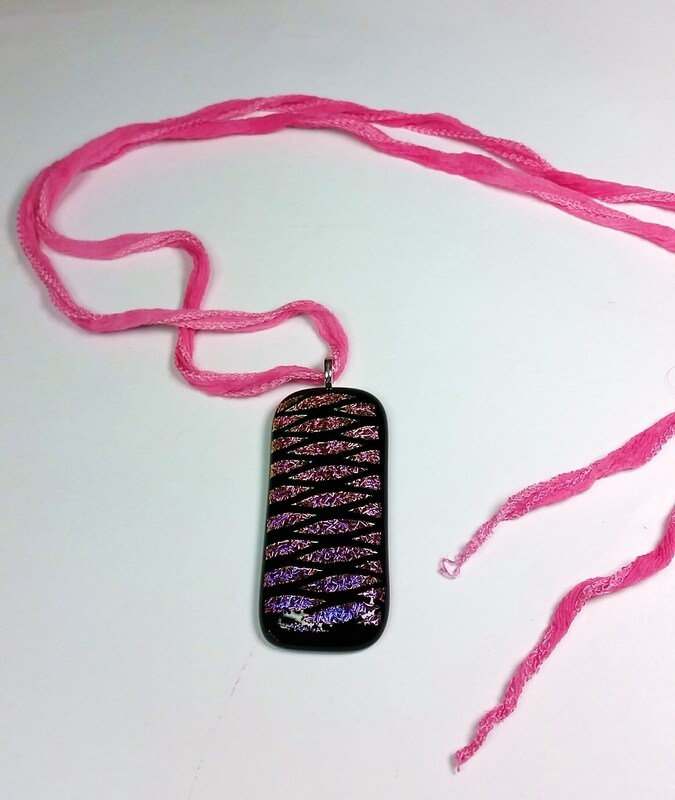 It is an adjustable length necklace. The ribbon can be tied into a bow at various lengths. 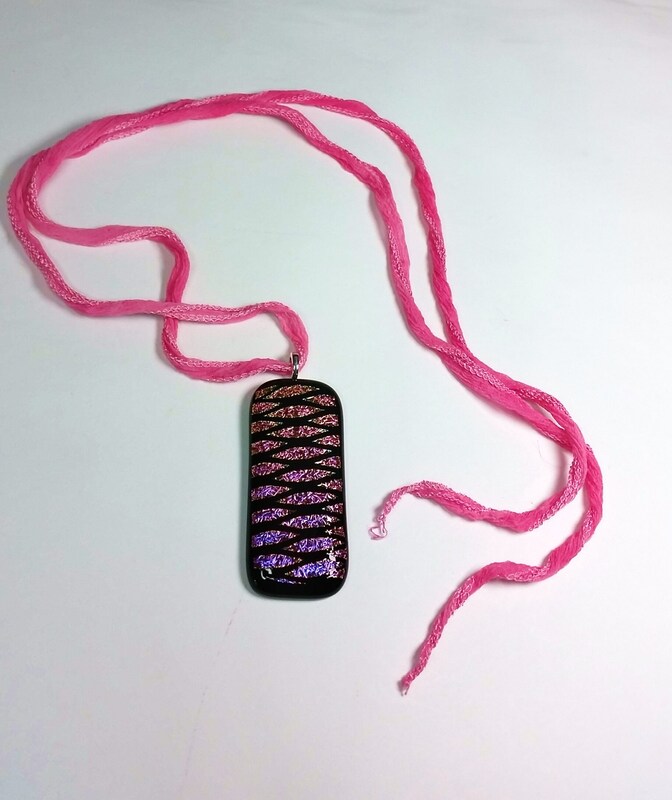 The ribbon length is approx. 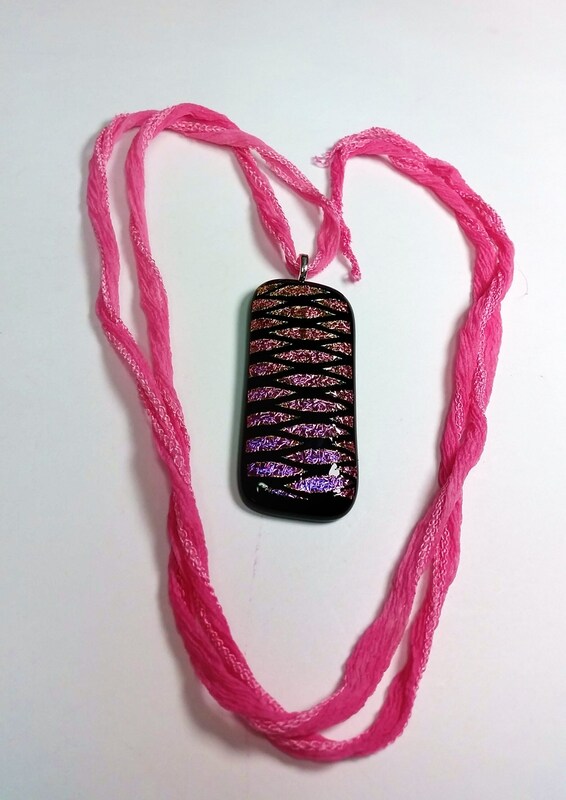 38 inches so the necklace could vary from approx 16 - 25 inches in length.